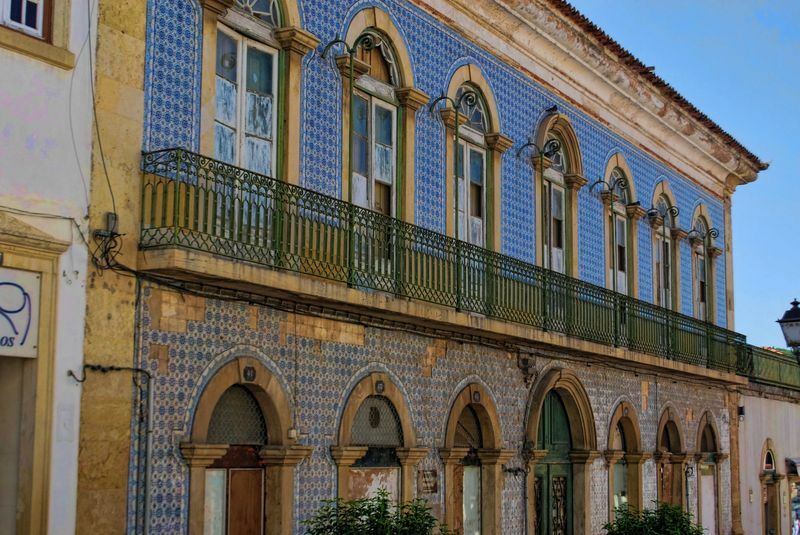 Not all buildings in the City of Tomar have ceramic tiles covering their front walls, but some do, as you can see on these photos. Some people find it very artistic, others not so much. In any case these are very old houses located in old areas of the town and at the time, covering the walls of buildings with hand made tiles, was probably a sign of taste, demanded good craftsman and was possibly much more expensive than normal painted walls. 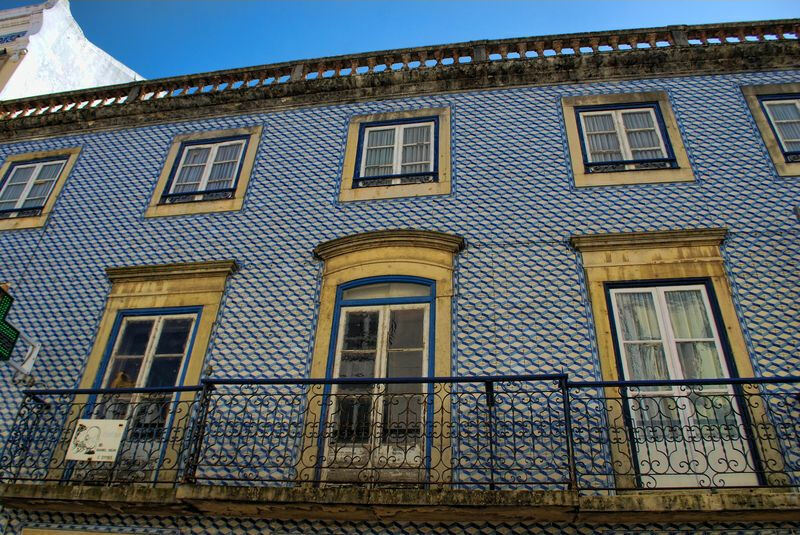 Another house at Rua Serpa Pinto (Corredoura) in Tomar, whose wall is covered with ceramic tiles. 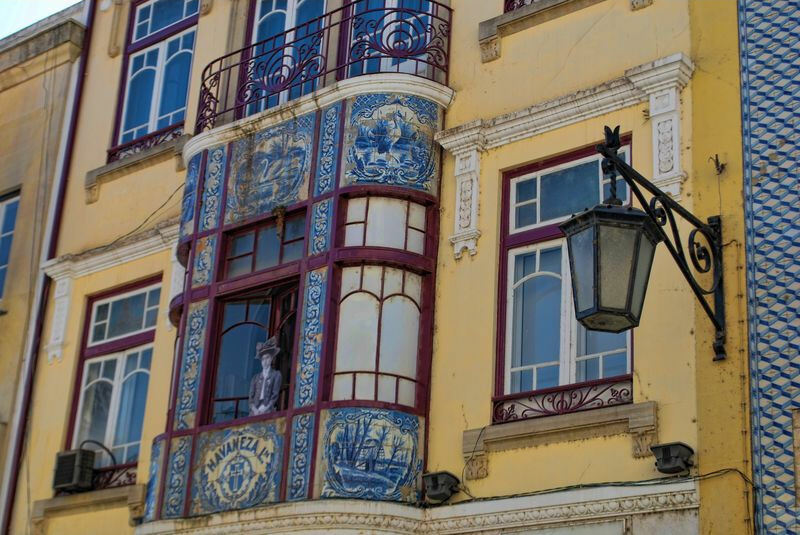 There is a very old pharmacy on the ground floor, called Pharmacia Pinheiro, whose wall is also covered with tiles.